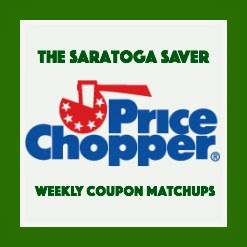 Price Chopper Weekly Coupon Matchups 4/12-4/18! Here are the deals this week at Price Chopper. If you are new to couponing at Price Chopper you can check out Price Chopper 101. Current Checkout51 offers: $0.50/1 gallon Milk, $0.50/1 Bread, $0.50/1 Yogurt, plus more! Boneless Country Style Pork Ribs - B1G1 at $4.99 lb. Tyson Boneless Chicken Breast - B1G1 at $5.49 lb. Anjou, Bosc, Bartlett or Red Pears - $1.69 lb. PC American or Provolone Cheese - $4.49 lb. D&W Maple Honey Turkey Breast - $7.99 lb. Jennie-O Buffalo or Original Chicken Breast - $5.99 lb. Sara Lee Lower Sodium or Honey Ham - $6.99 lb. Mother Goose Liverwurst or Tobin's Meat Bologna - $4.99 lb. Thank you so much for posting the $5.00 ice cream coupon... 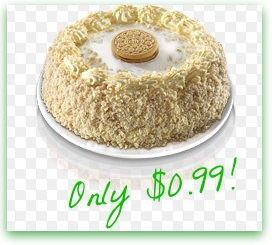 Even my husband couldn't believe we got a $13.99 cake for $0.99! You're very welcome, it's definitely a super deal! Cabot Cheese coupon still works. Thank you. Awesome! I'll update the post, thanks!